Go to the stars in your Wigwam! The longest day is a distant memory, the nights are pulling in … and with it comes the chance to see one of the greatest shows on earth … The Night Sky! It doesn’t matter if you’re a first-time stargazer, or if you’re a seasoned astronomer, there’s lots of places you can enjoy seeing the universe in all its splendour. And there’s never a better time to stargaze then when on holiday, and the national glamping provider, Wigwam ® Holidays has numerous sites in stellar locations ideal for seeing stars, doing a bit of planet-spotting and even viewing the spectacular Aurora Borealis, otherwise known as the Northern Lights. Wigwam ® Holidays’ insulated and heated timber cabins are located in some remote parts of the UK where dark skies prevail. So grab your binoculars, wrap up well and make sure you have an out of this world experience at these and other sites across the UK! Solway View Wigwams on Scotland’s south coast is very close to Galloway Forest Park, the UK’s first Dark Sky Park. Over 7,000 stars and planets are visible to the naked eye from the park, and with light pollution at a minimum, the skies are inky black and awe-inspiring. 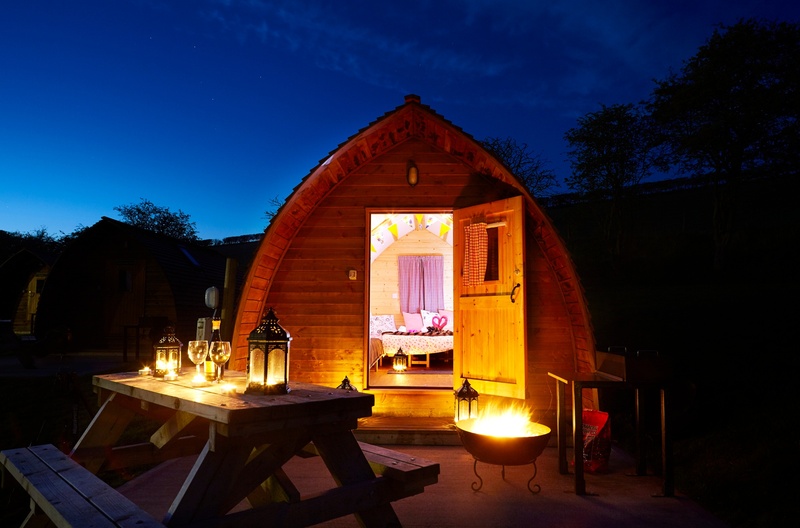 Bower Wigwams near Wick on Scotland’s north east coast is perfectly placed for observing the Milky Way in the winter months and dramatic meteor showers at certain times of year. Herding Hill Farm Wigwams near Haltwhistle isn’t too far from the Northumberland International Dark Sky Park Europe’s largest area of protected night sky. Observe the Northern Lights from Shulista Croft Wigwams on the Isle of Skye Shulista Croft was also selected to help represent Visit Scotland’s inspirational 2016 marketing campaign, with a time-lapse Northern Lights sequence that gives you goose bumps! The observation season is October to March, so make sure you don’t miss out! Brampton Wigwams in Cumbria also enjoys velvety-black skies and is just an hour’s drive from the renown Kielder Observatory with events every night throughout the year, including September and October – just as nights drawn in and the galaxies glow! Grouse Hill Wigwams near Whitby in North Yorkshire is located near the North York Moors National Park and the nearby picturesque seaside village of Robin Hoods Bay holds star gazing nights, perfect given this charming part of the Yorkshire Coast offers seaside views of the stars. Grouse Hill is also close to Dalby Observatory, in Dalby Forest, which has been named a Dark Sky Discovery Site (Milky Way class). So make the most of the new season, the spectacular opportunities to view the universe and to ‘go for the glamp’ this autumn!